These were the words of Mr Elia Shapwe, Acting Secretary General of the National Federation of People with Disabilities in Namibia (NDPDN), at first Day of the Disabled Woman which was hosted at the NFPDN on 14 March. 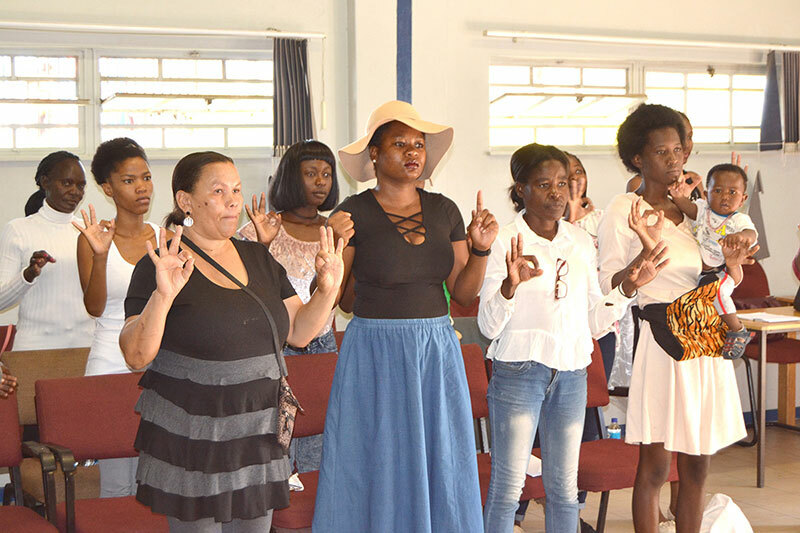 Women with disabilities ranging from Deaf, visually impaired to physical disabilities attend the event to address the problems they face and share encouraging and motivating stories and performances. Ms Hileni Uulumbu, Councilor from the City of Windhoek, said that it is important for the women with disabilities to have a woman's day separate to the official International Day of Women, which is held on 8 March every year, so that the focus can fall on them and the unique challenges they face. Deaf women are victimized by criminals because sigh language make reporting all the details very difficult while albinos are regularly called derogatory names. 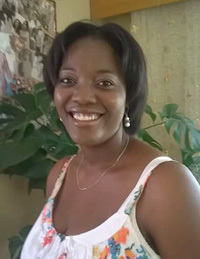 According to Miriam Sam (NADAWO) women with disabilities are commonly mistreated. The Time is Now! Is the theme for 2018 and it calls for disabled women to take their life into their own hands and make a difference to their own lives while setting an example for other. Some of the highlights of the performances were the “singing” of the National Anthem in sign language and a touching sign language poem by Lirogengeni Kakumo. 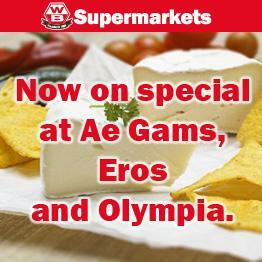 The WB Supermarket Group sponsored the event through their WB We Care Trust. Frieda Kandjii, Senior Operational Manager at the group, said that organizations, such as NFPDN, are welcome to apply for grants from the WB We Care Trust, because the group aims to assist positively in all areas where they do business. 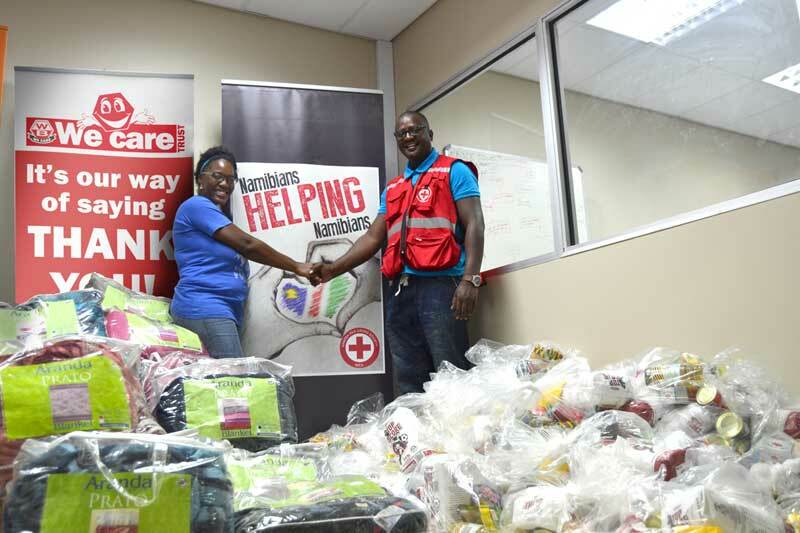 The WB We Care Trust showed their support of the Red Cross with a donation of goods to the value of N$15000. This included blankets and food stuffs. Mr Abia Uhongora, Manager of the Khomas branch of the Red Cross Society, said that they have launched a new Namibians Helping Namibians campaign to encourage local companies and individuals to think of those less fortunate. 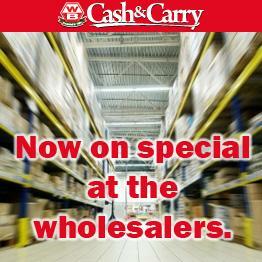 They want to be able to help families in dire need who knock on their doors. 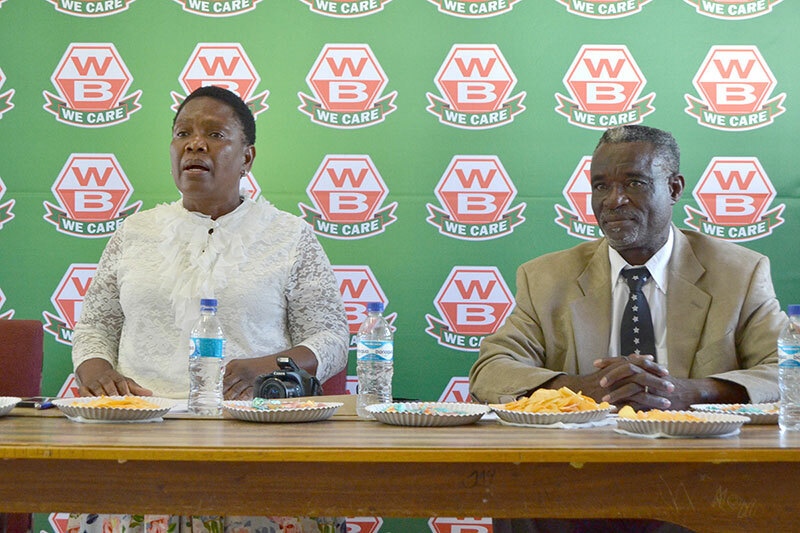 Fennie Mwetudhana, who administrates the WB We Care Trust, said that WB Supermarkets is a 100% Namibian company and therefor feel a sense of responsibility towards all communities in and around towns where the company trades. She also encourages other Namibian companies to follow suit. Organisations which would like to apply for grants from the WB We Care trust should visit the www.woermannbrock.com website and apply following the easy steps. 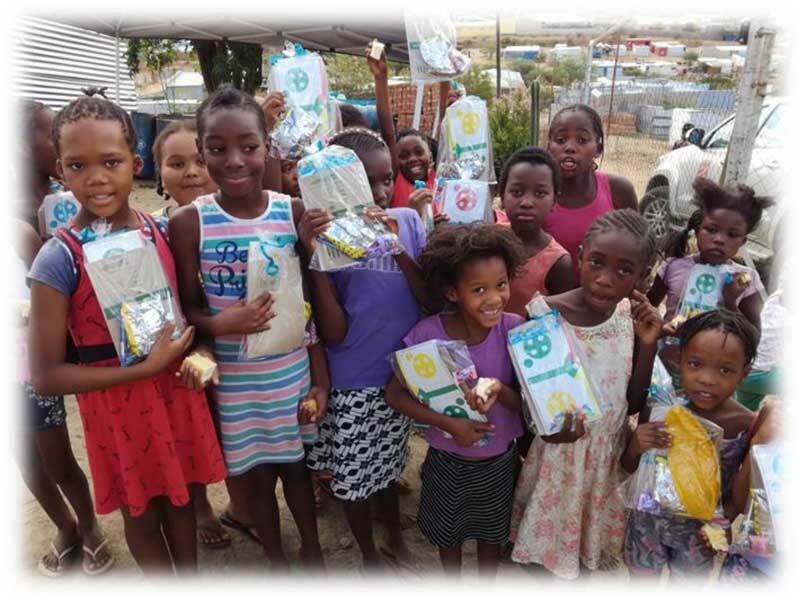 In response to a request from the Salvation Army's Windhoek Corps for support with the Community Kids Club in Otjomuise the WB We Care Trust donated 250 stationery packs to the kids in preparation for 2018. Lieutenant Edouard Zola, Officer-in-charge of the Windhoek Corps said that the donation will go a long way for these children and praised the company for ongoing support and services in communities all over Namibia. The Ministry of Health and Social Services recently hosted an event on the premises of State Hospital in honor of the elderly as October is the month for older people. 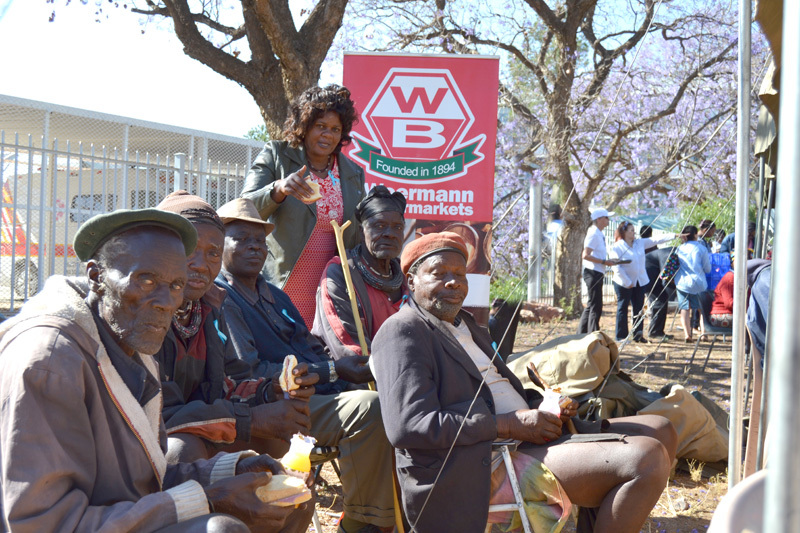 On arrival the attendees from various old age homes in Windhoek were treated with freashly baked brötchen and fruit juice courtesy of WB Supermarkets. 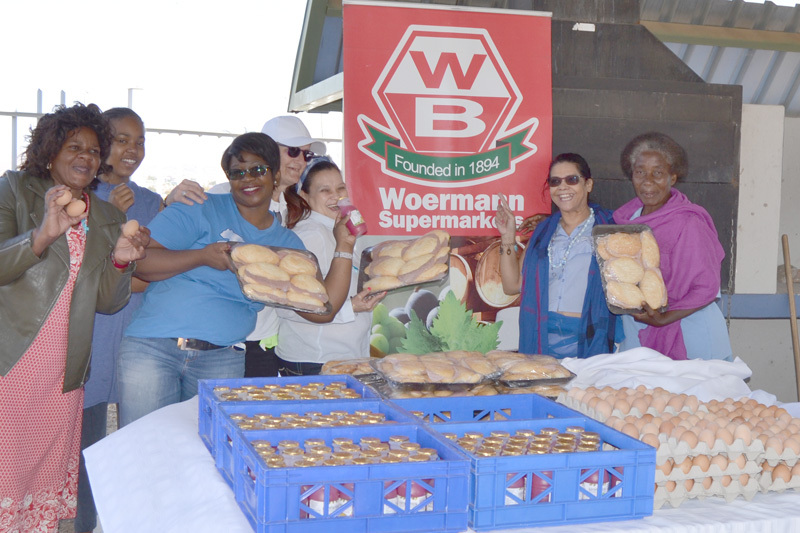 According to Mr Rudolph Fourie, General Manager of the group, the older members of the communities around all WB Supermarkets contributed to the success of the group and they are much appreciated. He further invites organizations who support the needy in areas surrounding WB Supermarkets to apply for support from the WB We Care Trust. Application forms are available on the website of the group. 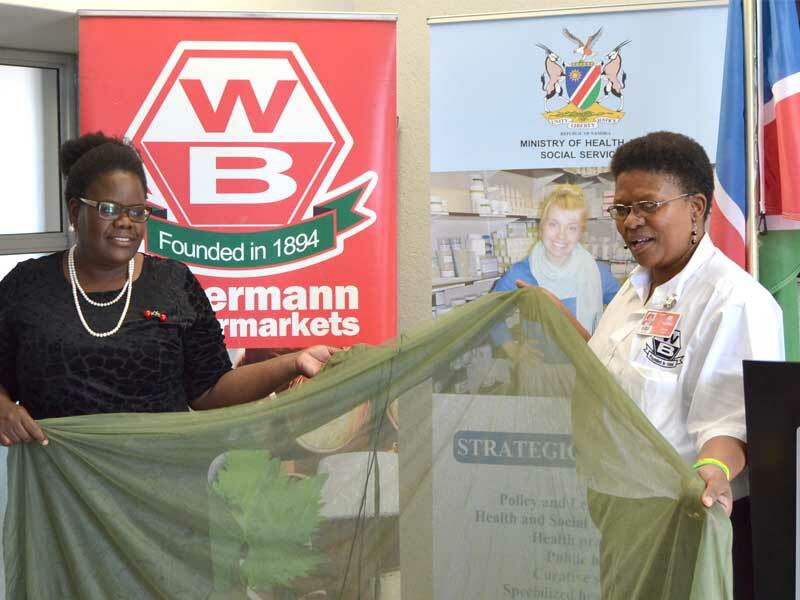 The Ministry Of Health and Social Services called on business and organisations to assist with the sudden Malaria Crisis which struck the northern part of Namibia earlier this year. 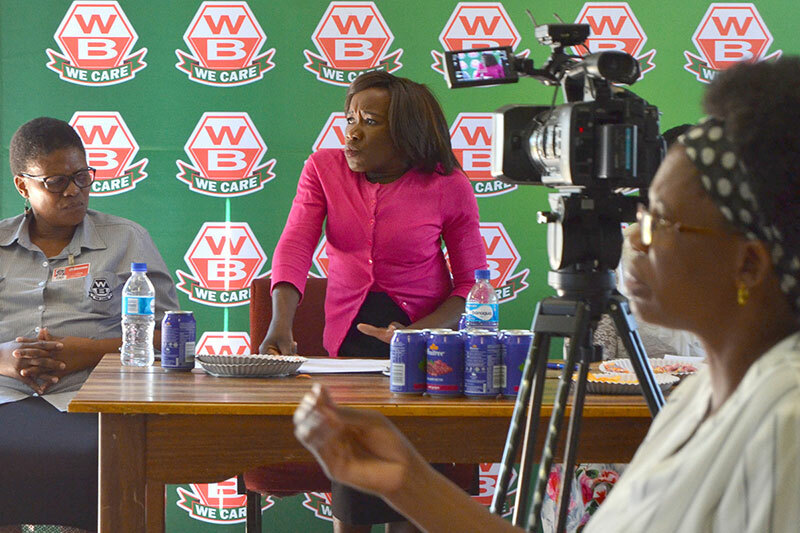 The WB We Care Trust made their contribution on Friday, 2 June, to the Deputy Minister, Juliet Kavetuna. Kavetuna said that the ministry values all parties who assisted and added that all stock or other support will be managed properly and stored to be ready for the next outbreak. 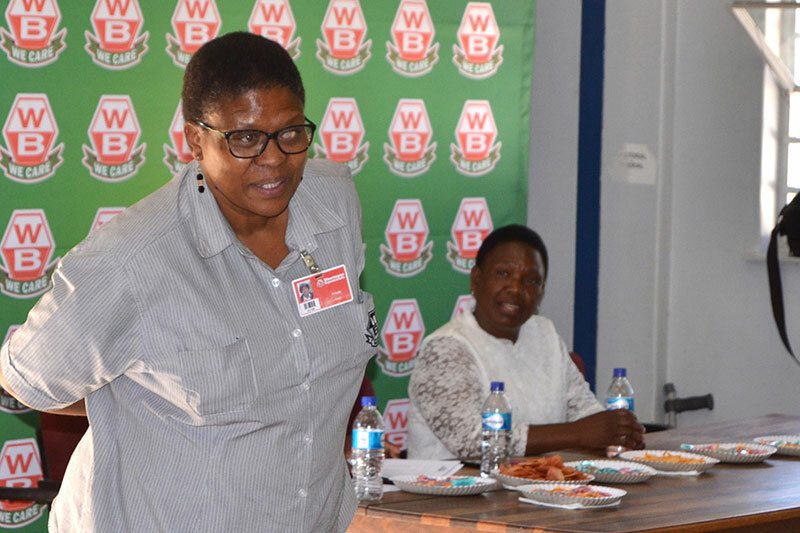 Frieda Kandjii, Senior Regional Manager of WB Supermarkets, said that the WB We Care Trust is actively supporting various charitable organisations and she called on all businesses who do business in Namibia to follow the example. 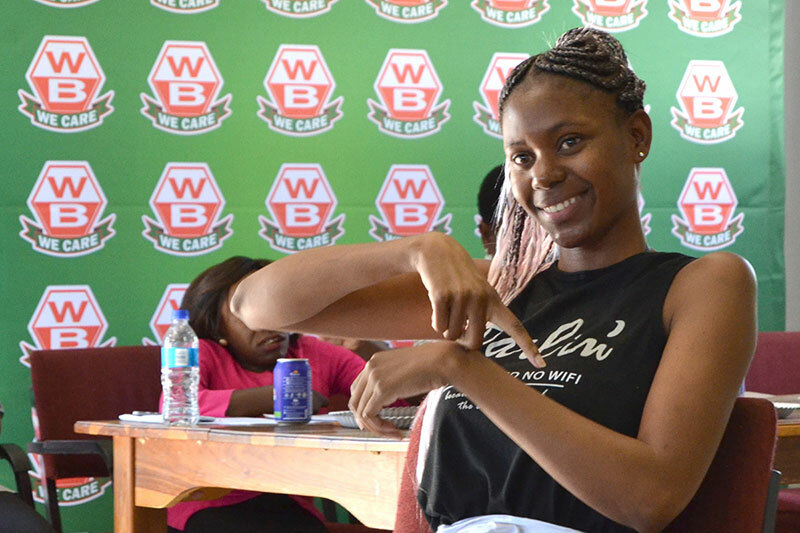 The WB We Care Trust was established in 2009 with the aim of offering support to bona fida groups who actively assist orphans and and those affected by the devastating effects of HIV/Aids. 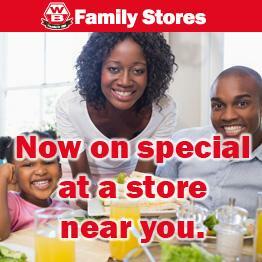 Communities in and around towns with WB stores are invited to apply to become beneficiaries of the WB We Care Trust. According to Jesko Woermann, CEO of the local group, more should to be done to alleviate the difficult circumstances with which so many Namibians battle every day. In order to ensure that the support given by the WB We Care Trust does not go to waste and is administrated properly, an official application must be submitted by groups is need. 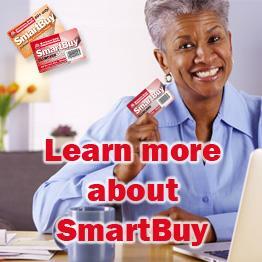 Contributions are then given in the form of a WB We Care card which is topped-up monthly and can be used to buy necessary products from their local WB Store. Administrators of the trust also pay regular visits to beneficiaries to evaluate the use of the support. © 2016 The Woermann Group.